I had SO much fun teaching harmonica and working with over 80 of the 4-6 graders in the Middle School of the Newell-Fonda Community Schools in Fonda, Iowa. 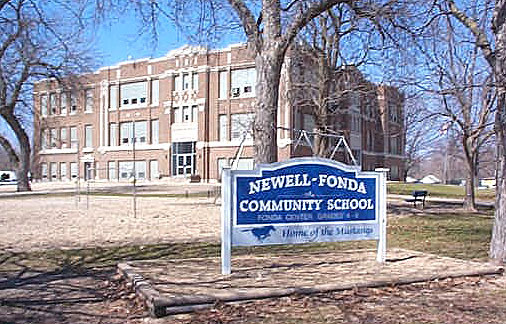 Click below to hear what the kids of Newell-Fonda have to say! The above recording took place shortly after my artist’s residency at the school in the fall of 2000. The residency was sponsored by USA Arts of Iowa. USA Arts is a program which showcases the artist’s skills of people with disabilities. Frank Strong has taught over 3,000 children and adults how to play harmonica.